In our June blog we continue the ‘Try Before You Buy’ theme following the launch of our own initiative last month in several of our communities, which are inviting people to stay overnight and immerse themselves in retirement village life. According to abc.net, Ikea customers in China are taking Try Before You Buy to the next level with people taking naps on sofas and beds, children doing homework at desks, and couples having deep and meaningful discussions in display kitchens. Journalist Matthew Carney, who visited Ikea’s store in Beijing three times in one month, spotted a mother tucking her child into a cot and getting into the bed next to it before pulling the sheets over her head, totally oblivious to the shoppers milling around the store. The scene was the same each time he visited the store apparently. Ikea said in a statement they were happy if customers felt at home and would only stop them if it inconvenienced others. If you get a tattoo wrong there isn’t much you can do about it, other than book yourself in for a series of expensive, not to mention painful, laser removal treatment sessions. But now you can Try Before You Buy with a new iPhone / iPad app called Ink Hunter, reports the Metro. The app aims to help people who are thinking about getting a tattoo but are worried they might regret it later. 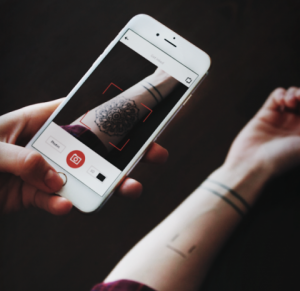 It works by asking you to draw a series of lines on your skin, then uses line recognition to position a tattoo design exactly where you want and captures an image on screen. Users can choose from 80 designs or upload their own sketch. They can post their “tattoo” on social media to see what friends and family think before taking a trip to a tattooist. As published in the Mirror, late last year Tesco launched a taste test to promote its own-labelled foods to entice shoppers to its stores. Under this Try Before You Buy initiative, shoppers were invited to taste any branded Tesco product including crisps, sandwiches and fruit. 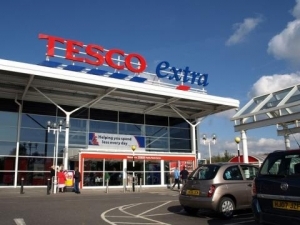 Tesco trialled the taste test in six stores, promising to roll it out nationwide if successful. However, we can’t find any updates on the story since it was originally reported, suggesting that the supermarket has quietly dropped the scheme. Perhaps it wasn’t as successful as Tesco hoped it would be. Or perhaps it was a PR exercise geared at standing Tesco apart from its counterparts, or indeed the discount supermarkets that rose to prominence last year. Who knows? According to Yahoo Tech, a San Diego based start-up called Realstir is allowing people to connect with property sellers and actually live in a house before buying it. The scheme is similar to ours in this respect, but Realstir has a free app available to iOS and Android users. The app matches up potential buyers and sellers. After a vetting process, those serious about buying a home can pay the current owner a fee to stay there overnight. The app aims to add a new dimension to property sales and also has a range of other features, including the ability to compare prices in different areas. Many women want to try on a bra and other underwear before buying, so this was a major challenge for thriving American online lingerie store True & Co to overcome, reports Entrepreneur.com. The retailer didn’t want to be hampered with the overheads of a bricks and mortar store, so launched the Try-on-Truck, which travels around the country fitting women on a coast-to-coast tour. Customers make appointments and fill out a questionnaire. When they arrive, a ‘fit therapist’ is waiting with a personalised selection of products. Apparently it is working, with the average order on the truck higher than it is online. If you are interested in the retirement village lifestyle and would like the opportunity to try it out, visit www.retirementvillages.co.uk to find the closest village participating in our Try Before You Buy scheme.